Courtesy March for Science Toronto. 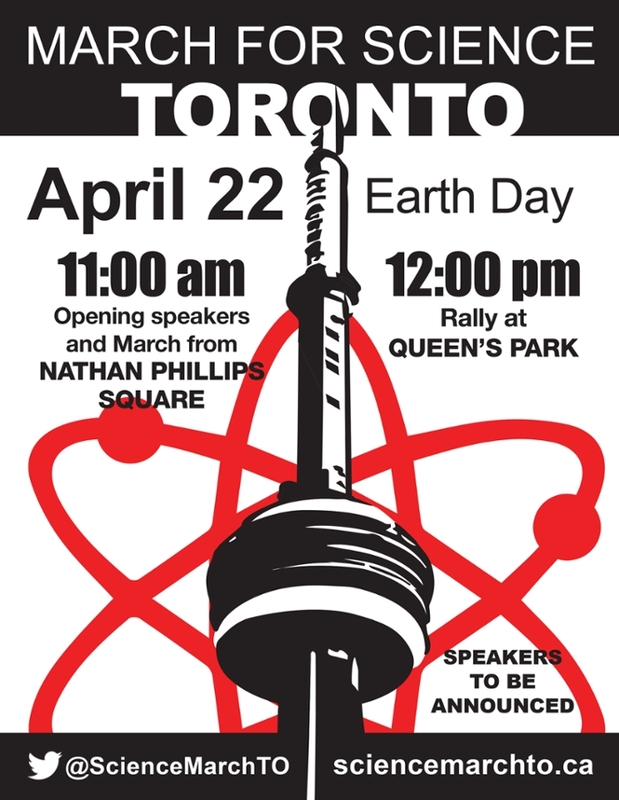 One of over 400 satellite sites in 37 countries, Toronto will add a distinctly Canadian flavor to the March for Science. Back to Canada for the next stop on our tour of March for Science sites. Feeling left out? Want some coverage for your satellite march? Contact us at editors@sciencenode.org. We're proud that our March for Science Toronto is a volunteer-run effort. Everyone involved is motivated by their own love for science, rather than particpating as a representative of an organization. This strategy is intentional. 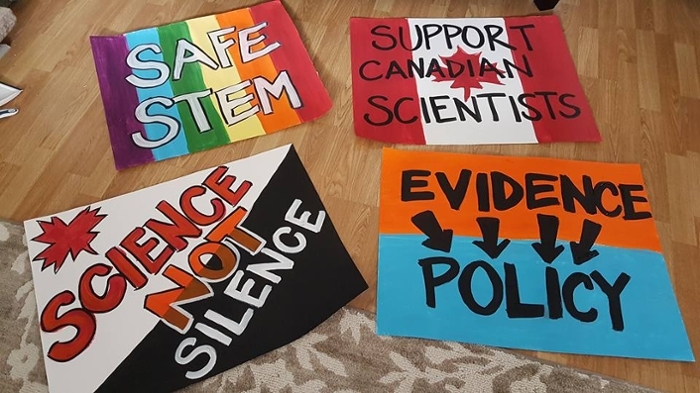 One of the keys to the March’s success is that it is a grassroots effort showcasing scientists as real people. We represent a variety of backgrounds — science, science communication, engineering, activism, and combinations of these — but we unite around our march’s four goals. First, we advocate for science integrity: the process of scientific research should be free from politically-motivated vetting or filtering. This is critical to the smooth running of a democracy. If the public are to make informed decisions about which representatives and actions to support, they must have access to unadulterated data. Second, we advocate for evidence-based policymaking. In the case of climate change, politicians weigh their economic goals against data demonstrating that modern climate change is accelerated by human interference, and they dismiss the data. Ultimately, a march is only one tool. It may be a high-profile event, but everyday activism is the core of achieving meaningful change. Science is political, but we cannot allow it to be miscast as partisan. All politicians must be willing to use data in their decisions, across every area of policy. Third, we promote better and more inclusive STEM education. Toronto’s last officially-compiled census data (from 2006) shows that fully 50 percent of our population is foreign-born, speaking over 130 languages and dialects. This is an increase of two percentage points since the prior census in 1996. It is critical that our science community reflect this vast and increasing diversity: if our scientists don’t represent our city, how can their science reflect our needs? Furthermore, if we allow science to be a partisan issue, we endanger the quality of science education available to students, particularly in conservative and rural areas. Finally, we celebrate Canadian scientists. While we will hold our march on April 22nd in solidarity with the American marches, our movement is, at its core, a Canadian one. Our government has had its own share of struggles with the politicization of science and muzzling of scientists. For instance, in a 2013 survey the Professional Institute of the Public Service of Canada found that out of hundreds of federal scientists, 90 percent felt they could not speak freely to the media about publicly-funded research results, and 37 percent had, within the last 5 years, been prevented from answering questions asked by the public and media. We aim to keep local attention on our struggles here, and also to show off the amazing work that Canadian scientists do. Ultimately, a march is only one tool. It may be a high-profile event, but everyday activism is the core of achieving meaningful change. We encourage all those who support our march to become involved with local advocacy organizations working towards such change: A sustained commitment is the only pathway to results. We hope to encourage more scientists (and science-curious!) people to become political while avoiding becoming partisan.